Two years ago this month I ran my first half marathon in Wichita, Kansas. Running a half marathon was something I'd always heard about other people doing, and it was something I always wished I could do. Those people with the 13.1 stickers were legit and awesome, I thought. But I knew that would never be me. Until, with the help of a friend, I decided it could be me, and I ran my first half marathon in 2 hours, 8 minutes, and 20 seconds. And then I did it again in Kansas City. And again in Oklahoma City. 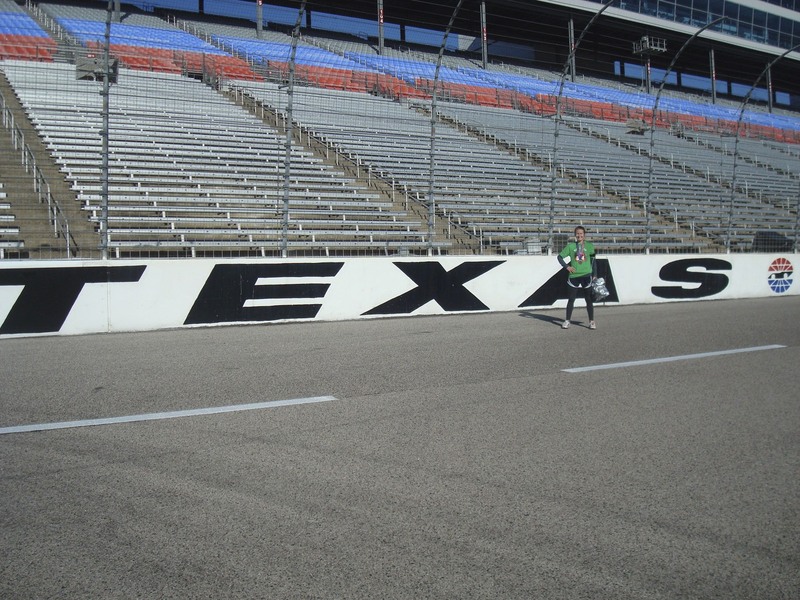 And then, just last weekend, I ran in my fourth half marathon in Dallas, Texas. I ran around the Texas Motor Speedway with about two thousands other runners--around the grounds and then the last 1.5 miles around the track. 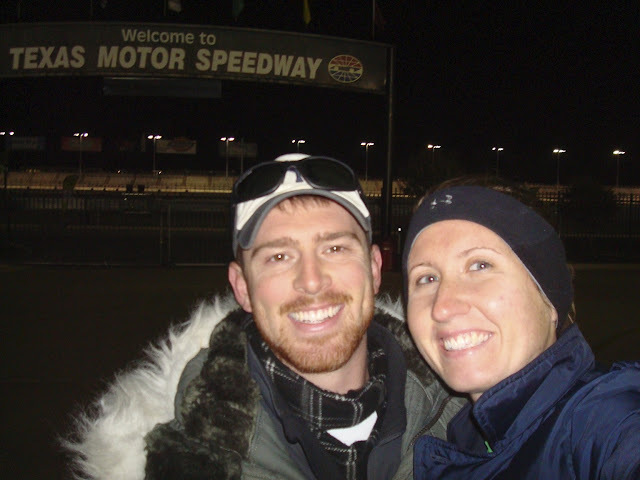 It was approximately 38 degrees outside, and Jordan was my sole spectator (due to my parents being on vacation in Cancun and my siblings having various weekend activities). Note: since most of the race was outside the speedway and Jordan had no way of getting there to watch me, he went back to the car and slept for an hour. But you didn't hear that from me. I spent miles 9-13.1 of half marathon #3 telling myself I would never run again. It was terribly, horribly awful, and I decided I wasn't going to pay money to put myself through this type of torture ever again. Only idiots and Biggest Loser contestants did that. I spent miles 11-13.1 thinking the same thing during this latest race (see above photo). Yet, sure enough, a day later I was online looking for the next race to sign up for. Why? I've asked myself this question many times. One thing running is NOT is easy. For one thing, I've had my share of close calls with the bathroom. I've also made myself nauseous a time or two from a hard run or a training workout (aka Jillian Michaels DVD), and I have gotten up way too early on more than a few Saturday mornings. Still, I keep running, because when I finish a race, I forget all about the early mornings and the sweating (and showering, which, if you don't know, I hate) and the sore knees. I forget about everything except for the fact that I am so freaking proud of myself for doing something I never thought I would be able to do. It's the best feeling ever, and maybe that's the endorphins talking, but I'll take it. I felt good pretty much the whole time. I didn't stop once, even for water; I just grabbed a cup, tossed it back, and kept going. Like a dummy, I forgot to charge my Garmin watch, so I had absolutely no idea how long it had been, how many miles I'd run, or the pace at which I was running. 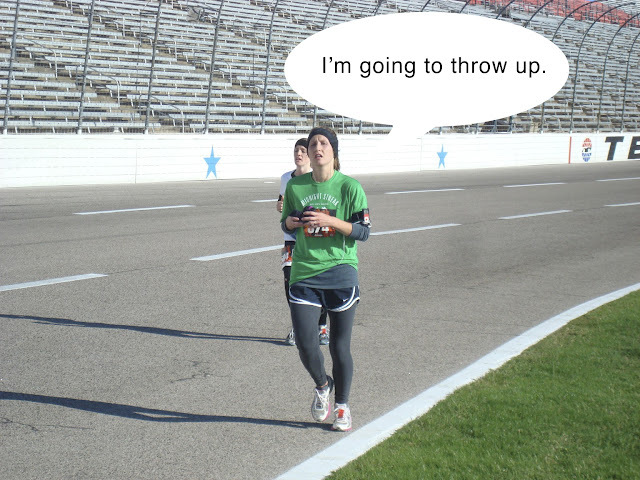 But I kept at it, and when I finally crossed the finish line, I nearly threw up. Seriously, I was so close to embarrassing myself. After I caught my breath and decided I wasn't going to barf, we went to check out my time. When I saw it, I got tears in my eyes. 2:03:34. All the training and hard work had paid off, and I improved my time by nearly 4 minutes! Now I feel like my 2-hour goal isn't so far out of reach. I haven't signed up for another race yet, but I am pretty sure I will be registering for a full marathon in 2013. Here's to nausea and sore knees. Great job! Yeah for #4! 1) Maybe the reason you look so miserable in that first picture... er, sorry, second picture - the one where you added the talking bubble - is that you have on way too many clothes. I would die wearing that many layers for that long of a run. Especially if I were going at your pace. Of course, if I went at your pace, I'd die anyway, regardless of layers. But that's not the point. 2) I love - LOVE - the fact that you ran your fastest half marathon wearing a shirt that says "Midnight Streak." That just cracks me up. Good for you. I am a non-runner, but enjoy walking. Hope you continue to press towards your goal! It was 35 degrees outside, and I was cold the entire time. Except at the end when I tore off my gloves and threw them at Jordan in my sprint to the finish. But other than that, I needed every bit of clothing I had. Also, the back of that shirt says "STREAKER" across the top. haha. 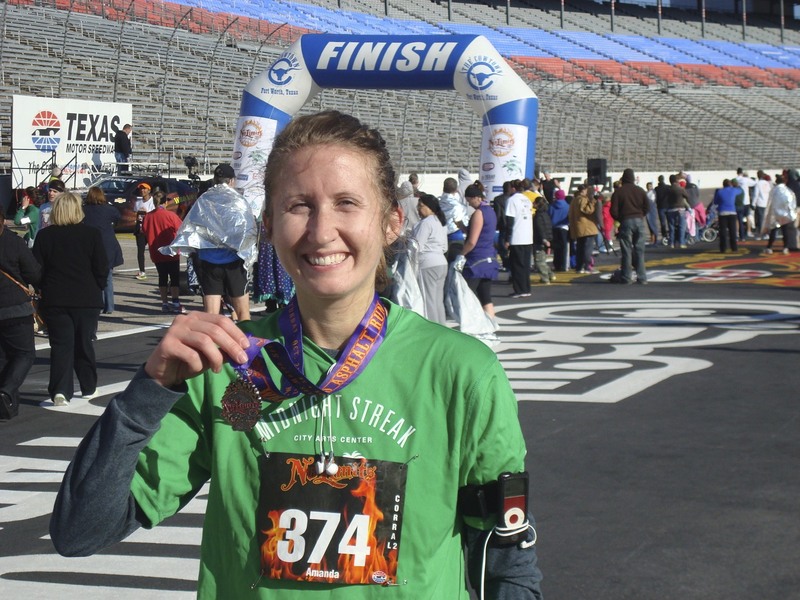 i did the same thing when i trained for the marathon - the whole time I was training (mostly near the end) i told my husband I will never do this again. and during the race i kept asking myself why I was doing this. the second i finished I knew I wanted to sign up again and I did! congrats on your race!! I really cannot believe you ran in that cold weather! Seriously bough, kudos to you. That is extremely impressive. This post made me laugh too...I love the chain of your thought process haha. That's incredible! I'm so happy I stumbled upon your blog. I am beginning to train for my first 1/2 marathon in June and I'm so nervous. I have only been running about 4 1/2 months and he farthest i have ever gone is 6 miles...I know I can get there. This was just the post I needed to read to keep me motivated!